The two piece Mini Super Cub Aluminum Landing Gear is CNC machined for a clean look and precise fit. This gear is very sturdy and will avoid the constant back and forth bending common with the stock wire gear. 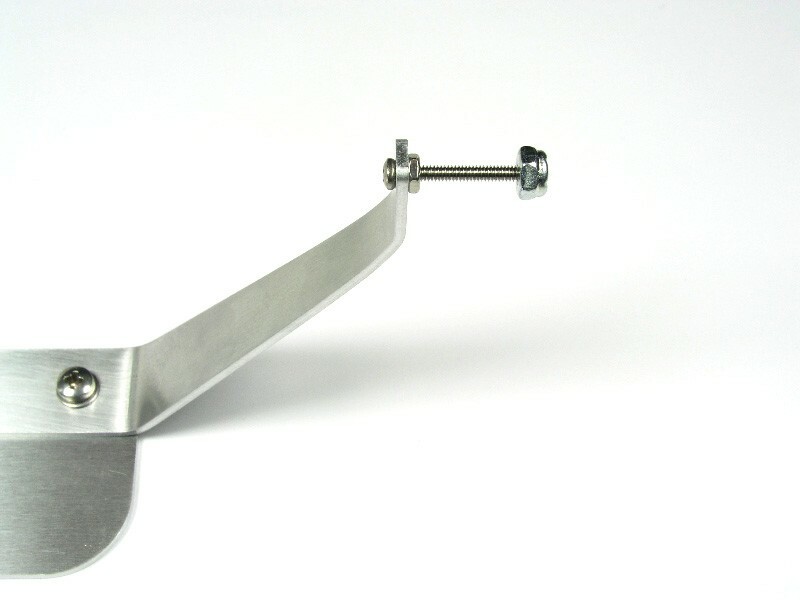 It is designed for simple installation and can easily be removed with only two screws. 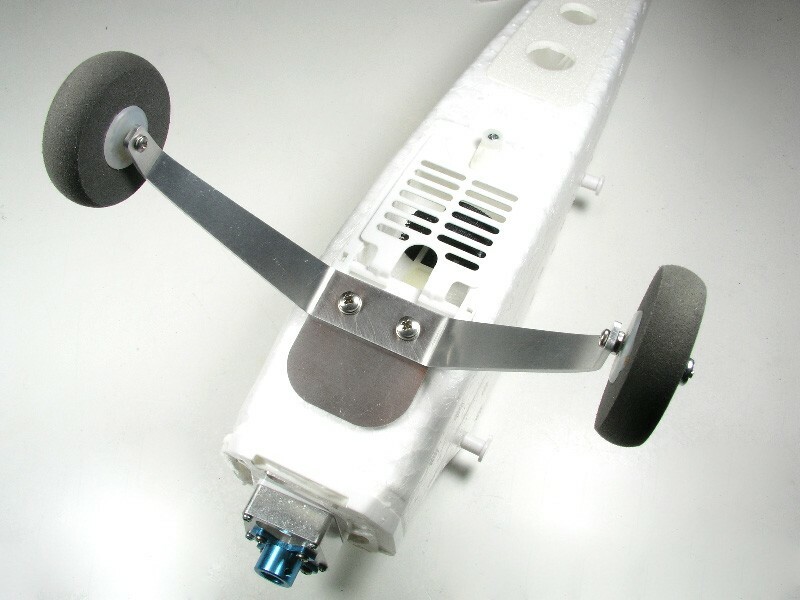 With this landing gear, an 8" prop will clear nicely during take-offs and landings. 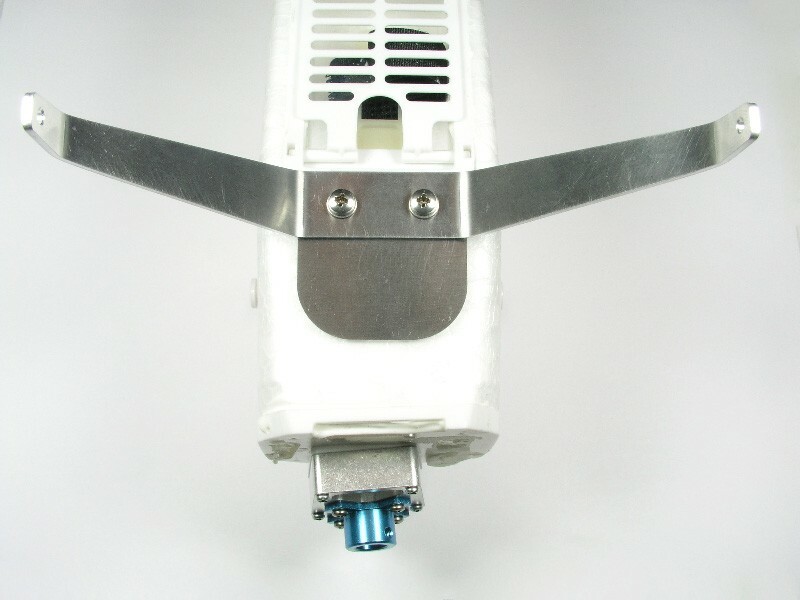 It is a perfect match for the Mini Super Cub Aluminum Motor Mount upgrade. 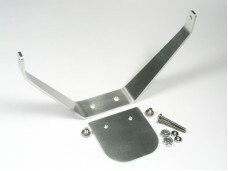 The kit includes the landing gear, base plate, mounting screws, and axles. The axles work best with wheels that have been drilled to a 3/32" hole. For wheels, the Dubro 1 1/2" Mini Light Wheels are a great match as shown in the photos. Using a common 3/32" drill bit, these can be quickly drilled to fit the included axles. 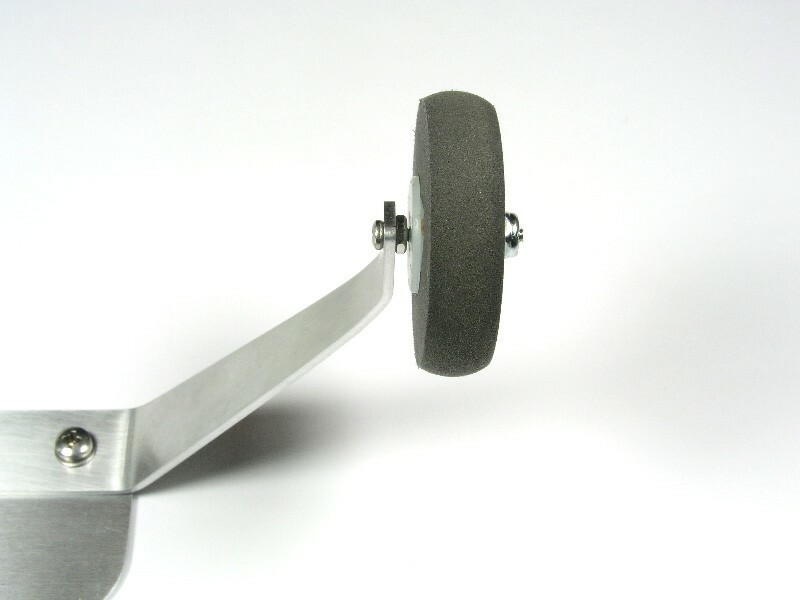 Larger diameter wheels can also be used to clear a 9" prop. Glue the flat base plate as shown in the photos using a permanent glue such as a 5 min. epoxy. Make sure the two tapped holes are clear of any glue. Installing the two screws first, then gluing will keep the threads clean. 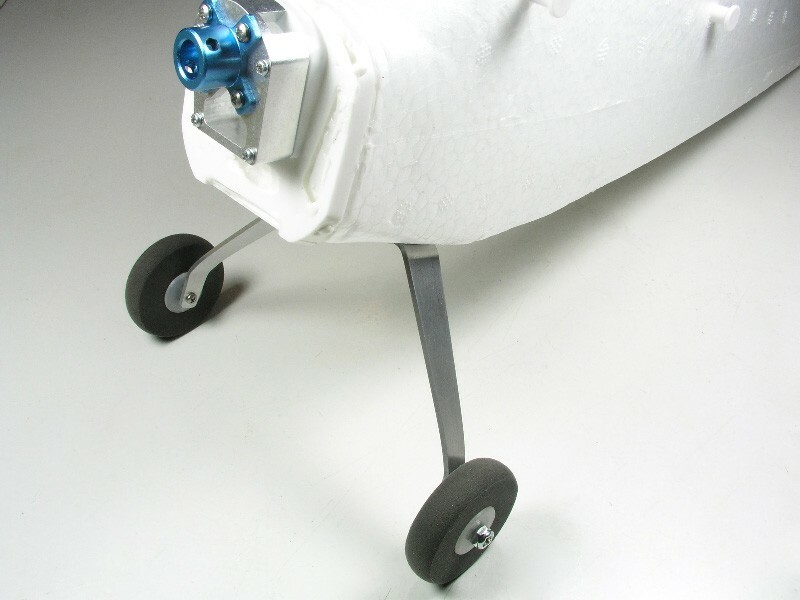 Attach axles and wheels to landing gear as shown in photos. Make sure wheels spin freely. Attach landing gear with two M3 screws and washers. After installation always check Center of Gravity per the instruction manual. 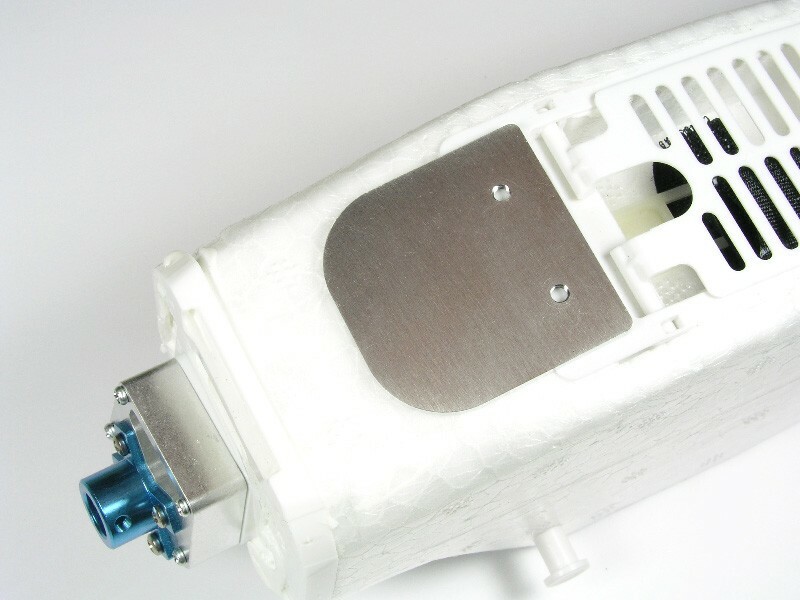 With the stock wire gear removed, a longer battery can be installed with some minor foam removal for longer flight times.